The funding will develop a multi-use community facility on the site of a previously contested space within the village. Eire Og is based in Carrickmore in County Tyrone and has been operating in the village since 1970. The club see themselves as being at the forefront of developing community, cultural and sporting activities. They believe that it is their role to push boundaries to be more than ‘just’ a sporting organisation and have strived to play a key role in developing a broad range of activities for all ages, genders and abilities within the local community. They continue to look to extend the range, quality and reach of their services and have a key role to play in improving the quality of life of all rural dwellers. They sought funding from the Space & Place programme for the development of a multi-use community facility on the site of a previously contested space within the village. 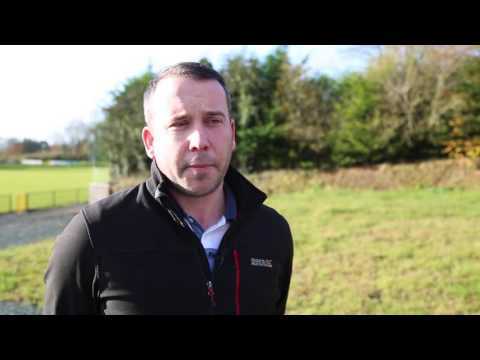 They have recently taken on a lease for the site and have already invested a considerable sum of their own money to deliver a grass pitch for the playing of hurling. They wish to develop the accompanying community elements to the project to transform it into a wider community project accessible to all members of the community. The key elements of the project include: a 1.5m wide flat perimeter walking track with lighting around the outside of a new pitch; outdoor gym equipment located around the perimeter of track; a semi covered area for indoor games, events and other activities such as farmers markets, fundraisers (e.g. car boot sales); a new sensory/community garden (including fixed seating); a new 70m X 4 lane running track (to athletics standard) and a Men’s Shed project. The group believes the project can have a positive impact on the lives of this rural community and that it will deliver an integrated community space which should assist with creating greater community connections, helping to address social isolation and generate increased social capital within the area. The group feels confident that the project can be a catalyst to greater partnership working within the area.